Acne is a skin condition that affects the skin’s hair follicles and oil glands. The pores — small holes in your skin — are connected to oil glands under the skin. These glands produce oil that carries dead skin cells to the surface of the skin through the follicle. A thin hair also grows through the follicle and out to the skin. The hair follicles become plugged with oil and dead skin cells, and bacteria can grow. This is called acne. It usually appears on the face, forehead, chest, upper back and shoulders. 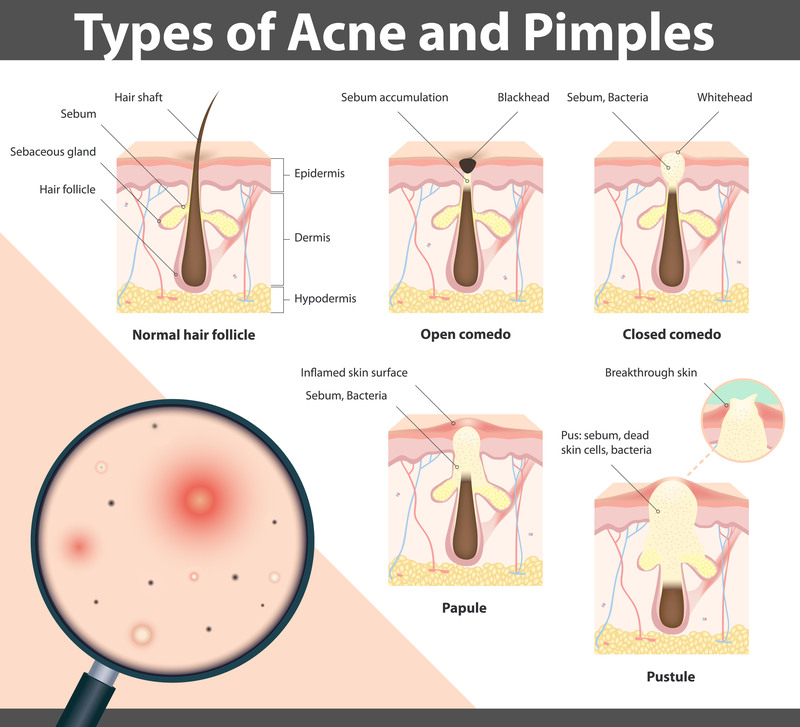 Various types of acne can develop at the infected/irritated follicle site. Acne is most common among teenagers, though it affects people of all ages. Some acne can be persistent. Seeing your dermatologist can make a world of difference. Depending on its severity, acne can cause emotional distress and scar the skin. The earlier you start treatment, the lower your risk of such problems — and we have had success administering various treatments for different types of acne.